F.E.A.R. 2: Project Origin – I deliberated whether this or Killzone was more deserving of the final spot for a while, but it was Killzone’s technical advances as well as its fantastic multiplayer that swayed it. Even so, F.E.A.R. 2 impressed me back at the beginning of the year with its intense action and clever storytelling – not so much on the story itself, mind – and it actually had a less intrusive version of that game’s weighty-feeling gameplay, so it deserves at least a little recognition. Grand Theft Auto: Episodes From Liberty City – This was in there right until the end, and it was only the facts that (a) I don’t actually own a copy of this exact game – I downloaded both individual episodes – and (b) I decided that a full game was more worthy than a glorified expansion pack that swayed it. Nonetheless, this is as good as GTA IV – maybe better in the case of the phenomenal Lost and Damned – and gives us more of an adventure in Rockstar’s still-stunning Liberty City. It’s still unparalleled as a gaming environment and it’s going to take something special to top it for me. 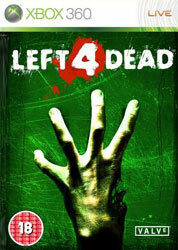 Left 4 Dead 2 – I have no doubt that L4D2 justifies its status as a sequel rather than DLC; I just didn’t get enough chance to play it. Its proximity to Modern Warfare 2 and the perception that a worthy sequel couldn’t be produced in such a short period of time meant that very few of my usual gaming crowd bought it, and Left 4 Dead is something that you can’t completely enjoy with random people on Live. I think that Valve has the game where it wants it, though, and should it follow the game’s release with a steady stream of good content in 2010, I’ll be sure to give it the credit it deserves. inFamous – This game suffered by not being Crackdown, which remains one of my favourites of this generation so far. Although it was technically far more impressive, this didn’t have the same sense of fun and took itself far too seriously for the ultimately silly subject matter. I enjoyed it – don’t get me wrong – but bolting more stuff onto an existing simple and perfectly good framework isn’t always a recipe for success. inFamous is still great, though, and I hope that Sucker Punch can build on this foundation, whether it’s in inFamous 2 or a returning Sly Racoon. Mario & Luigi: Bowser’s Inside Story – Believe it or not, this was actually the first Mario & Luigi game that I’ve been there at the beginning for, which is strange considering how much I’ve loved the previous ones. It kept me going for a good ten hours solid when I was in transit from the States and it’s everything you can expect from the series: the brilliant, self-aware humour and writing; some of the best animation around; and a way of gently ribbing those well-loved characters without taking away from them. It’s still very much new Nintendo, from the same box of games that would have never happened in the NES and SNES era as Smash Bros, and it’s even more insane than its precursors. Imagine all the gags that can come from being inside Bowser – the title is only the beginning, believe me – and they’ll pretty much all be there. Except that, you dirty bugger. Trials HD – I deliberated for a long time whether this or Shadow Complex deserved a spot more, and the fact that Trials HD was left out shouldn’t take away from it. I knew it was going to be good when I first stumbled across it on PartnerNet and found that anyone who saw it was instantly enthralled, and so it proved because I still see people playing it today and the developer seems blown away by the reception and the boost in profile that its once-niche PC title has received. Proof that retro gameplay – and the insane difficulty that goes with it – isn’t dead. It just got pretty.